First held in 1928, the Australian Grand Prix is one of the world’s oldest motorsport events, even predating the Monaco Grand Prix. 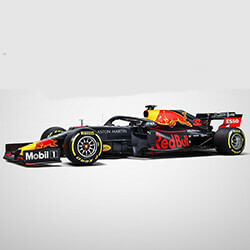 Scheduled for Melbourne’s Grand Prix street circuit around Albert Park Lake on Saturday, Australia’s oldest motor race appropriately launches the 2017 Formula 1 Championship. The fifth race of the season has an even more venerable history, however. The Spanish Grand Prix at the Circuit de Barcelona-Catalunya on 14 May was first held way back in 1913. It started under touring car rules over 300km on a road circuit near Madrid, and was interrupted immediately by the First World War after its inaugural event. It was revived under proper Grand Prix rules in the 1920s, but the start of the Spanish Civil War in 1935 forced another hiatus: one that lasted until 1968. 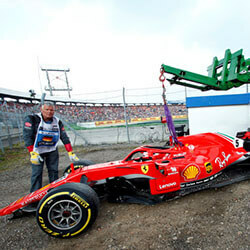 Resurrected as a Formula 1 race in that year, it was hosted by several racetracks around Spain over the next few decades. 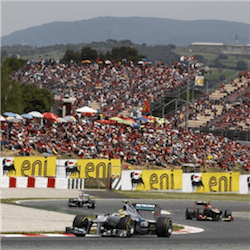 Since 1991, however, the Spanish Grand Prix has been ensconced in the impressive stadium in Catalonia’s capital, comprising 66 laps of the 4.655km track while negotiating two lengthy straights and 16 turns. Punters got to weigh up 2017 options during two weeks of Formula 1 winter testing that took place at the Barcelona circuit earlier this month. For those betting on the Constructors’ Championship, the time trials revealed the effects of the latest tweaks on cars’ performance. With drivers competing for mastery of the Catalunya circuit, the results were also relevant to the Drivers’ Championship, and the Spanish Grand Prix in particular. 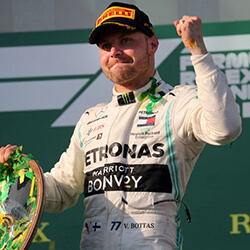 The Mercedes AMG Petronas team of Valtteri Bottas and Lewis Hamilton are looking like a solid bet, as are Scuderia Ferrari’s Kimi Raikkonen and Sebastian Vettel. Bottas posted the fastest lap time in the first week of testing, going round in one minute, 19.310 seconds. 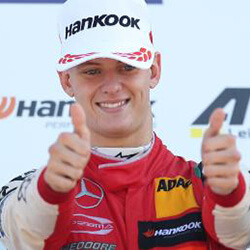 However, Raikonnen bettered that on day eight with a lap of one minute, 18.634 seconds. So at least as far as the Spanish Grand Prix is concerned, betting enthusiasts shouldn’t be surprised if it boils down to Finn versus Finn. Teammates Hamilton and Vettel will also be serious contenders, as will Red Bull’s Max Verstappen, who posted his team’s fastest lap in Catalunya: one minute, 19.438 seconds. The Dutchman is the reigning Spanish Grand Prix champion, after he beat Raikkonen by 0.616 seconds last year.